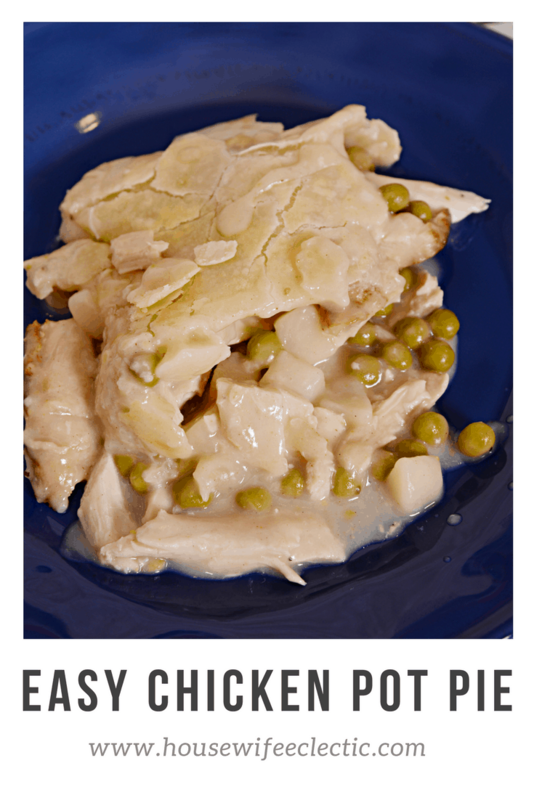 Something about missing my mom always makes me crave chicken pot pie. Even though we live so much closer to my parents now than we did last year, some days it doesn’t seem close enough, and so I make chicken pot pie, to bring a little home to me. This recipe started out much more complicated once upon a time, with homemade crusts and then my mom realized that sometimes simple is just better and it has been this way ever since. pie crusts, go ahead use one of the refrigerator ones, my husband can never tell the difference. Heat the butter over low heat until melted. Blend in flour, onion, salt and pepper. Cook over low heat, stirring constantly, until the mixture is smooth and bubbly. Remove from heat. Stir in broth and milk. Heat to boiling, stirring constantly for one minute. Stir in chicken and frozen vegetables. Place the filling in your pie crust and then cover with remaining crust. Cook uncovered in a 425 over for 30-35 minutes or until golden brown.